Spending one day in San Sebastian is likely to be the highlight of your Spain itinerary. While it’s a shame to only spend 24 hours in this city, it’s still plenty of time to cover a lot of ground. The moving inland from the bayside reveals old city streets, markets, and cafes serving pintxos – a local appetizer. From the busy beaches to the crowded streets of Parte Vieja, the city packs a lot into a small area, which also makes it easy to explore. Visiting other cities in Spain? Be sure to check out our Spain Travel Guide! Seeing San Sebastian in 24 hours is going to involve a lot of walking. You’ll get to visit the beaches and bayside commercial district, venture into the heart of the city, and climb a hill to take in stunning views. Like most of our city itineraries, this trip to San Sebastian includes a little bit of everything. You’ll spend time watching sharks and stingrays in the city aquarium and visit old churches. Don’t worry about food, as there’s a café or restaurant around almost every corner. If you want to see as much of the city as possible, use this guide to San Sebastian in one day. One of the largest and oldest city parks in the region, Cristina Enea Park is a delightful spot to spend an afternoon. 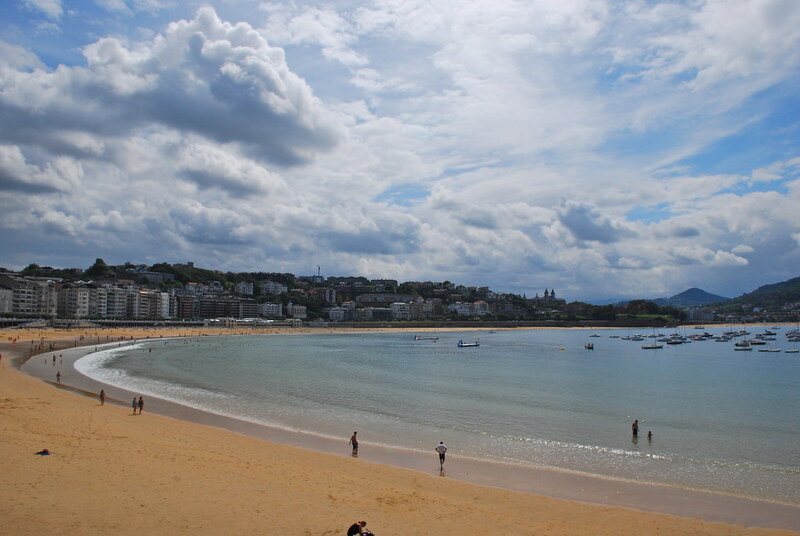 It’s also a great place to start your 24 hours in San Sebastian, as it’s on the eastern edge of the city. The park is expansive, with lots of paths to walk along. The scenery varies from dense woods to open fields with peacocks, ducks, and other wildlife wandering the grounds. There are small ponds, native plants, and lots of areas to stop and rest. While the park doesn’t have any special attractions, the natural beauty of the outdoors is always refreshing. You may even get to see flamingos strutting about or find a vendor serving gelato. Exit the west side of the park near the Urumea River. To your north, you should see an ancient bridge. The Puente Maria Cristina takes you over the river and is almost an attraction itself. The historic bridge features several detailed statues and provides a great view up and down the river. After crossing the bridge, you’ll find yourself in Parte Vieja, the older part of the city. 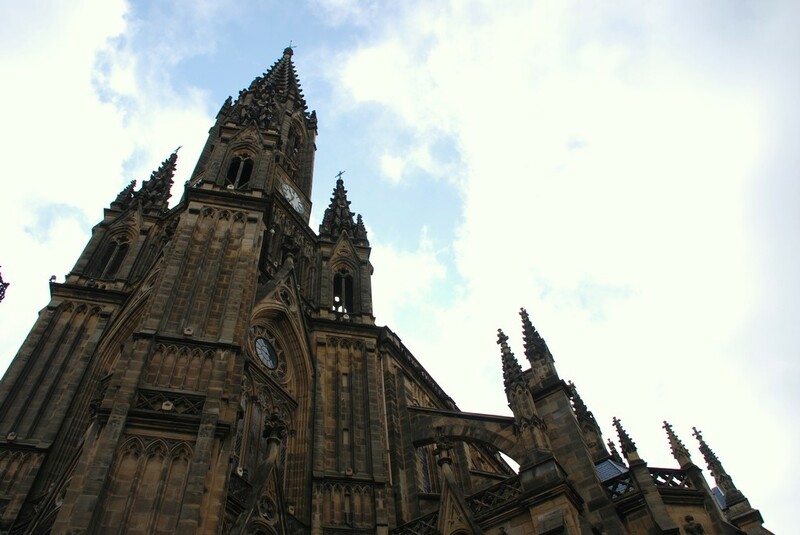 You’ll also be able to see the top of the tower at San Sebastian Cathedral, which is an important destination for any Spain itinerary. The cathedral isn’t ancient. It was built at the end of the 19th century, but it features a neo-gothic style that was popular a couple of hundred years earlier. Besides a tower reaching into the sky, the exterior of the grand cathedral features intricate carvings, statues, and reliefs cut into the façade. It’s a striking building to behold and even more impressive when you get inside. As a major attraction, the cathedral tends to get crowded. Luckily, you’re visiting it early in the day before the lines into the cathedral get too long. The cathedral houses priceless artwork, rare artifacts, and exhibits dedicated to the history of San Sebastian. You can take a guided tour or explore the exhibits on your own. When you’re done, if you’re in need of a snack or some caffeine, take time to explore some of the cafes and shops in the plaza in front of the cathedral. From the cathedral, it’s just a short walk to the beach. Take any of the streets west and you’ll eventually reach the bay. 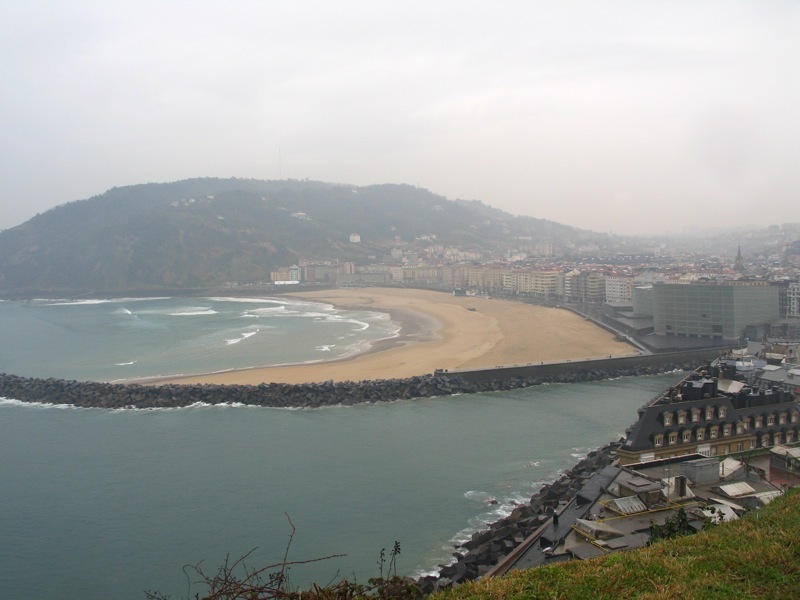 La Concha is one of the main beaches in San Sebastian, luring people from all over. The clear waters and sparkling sand are often filled with locals and tourists. The beachside area includes a promenade that stretches for over a kilometre and is filled with cafes and tapas bars. While the beach is typically packed, it’s surprisingly well kept. Unfortunately, you may not be able to go for a swim during this trip. With just 24 hours in San Sebastian, you don’t have a lot of time for excursions. While it’s easy to spend an entire day at the beach, you also need to get some food and explore a few other sites. Continue your stroll north along the beach, working your way around the curve of the bay. When you reach the end of the beach, start walking toward the centre of Parte Vieja. In the middle of the old neighbourhood, you’ll find Constitution Square. Much like many European cities, San Sebastian has several large public squares that tend to serve as the centre of festivities. Constitution Square is the largest of these squares in the city and the heart of Parte Vieja. The square itself isn’t terribly impressive. It’s surrounded by commercial development with buildings that feature simple designs. The main reason to visit the square is for the cafes and terraced bars serving pintxos. Pintxos is a local staple, San Sebastian’s version of tapas. Like tapas, pintxos is an appetizer. It’s typically a bread covered with melted cheese and other ingredients. Many of the cafes, bars, and restaurants surrounding the square try to top each other, resulting in some innovative appetizers that you are unlikely to find anywhere else in the world. If you don’t like cheese, there are plenty of five-star restaurants in the area. Just keep in mind that trying to get a spot in a restaurant could take up a large chunk of your time. After fuelling your body with appetizers or a meal, walk off the food as you travel to the aquarium. Besides ducks and peacocks found in the park, the city houses marine life. 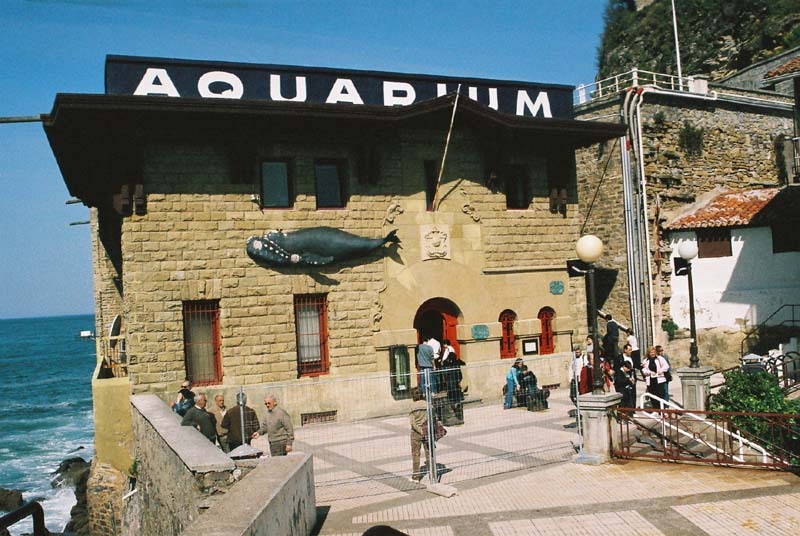 The city aquarium is one of the top things to do & see in San Sebastian, thanks to the variety of species and the maritime history lessons. A trip to the aquarium starts on the top floor, housing a variety of exhibits showcasing the history of the region. You can learn all about the fishing and whaling industries that helped San Sebastian become a prominent city. The lower floors include the aquariums housing over 200 species of marine life. Watch turtles, stingrays, sharks, and all types of big and small fish swimming about. In the centre of the aquarium is a massive whale skeleton, another reminder of the whaling history of the city. However, the best part of a trip to the aquarium is walking through the 360-degree underwater tunnel. The tunnel takes you through one of the aquarium tanks, allowing you to watch sharks swim by in every direction. This is another attraction where you could easily spend the entire day, as there is so much to see and do. The aquarium is near the old fort that stood guard over the bay. 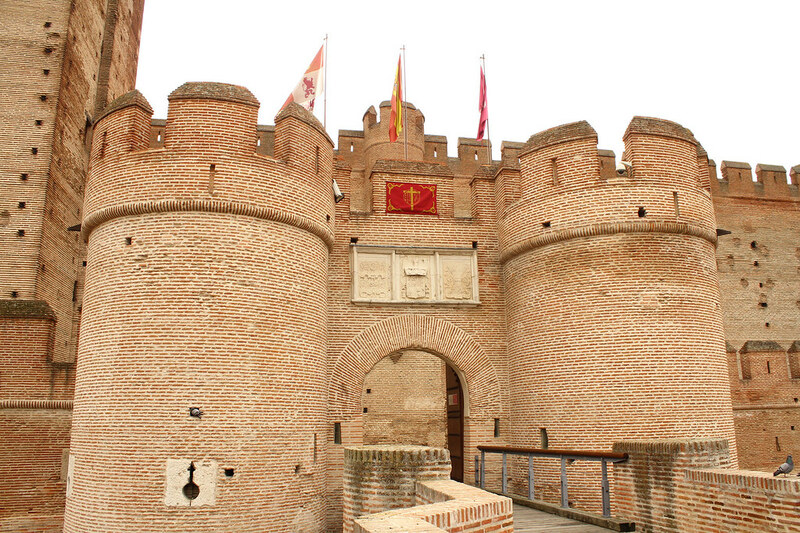 Castilla de la Mota is one of many military fortifications that once protected the city. While most of the old forts have crumbled or fallen into disrepair, Castilla de la Mota remains partially preserved. The castle is part way up the hill. It takes about 20 minutes to climb the stairs, providing views of the beach between sections of shaded trees. Along the way, you’ll also pass a couple of other old ruins. Unfortunately, you can’t tour the inside of the fort, but you can walk along the outer ramparts and see some of the cannons that point out toward the bay. There are also various walkways and courtyards to explore, along with spots to stop and rest or enjoy a picnic. The old fort is just part of your journey up Mount Urgull. You can see the tree-covered hill from other parts of the city, as it sits at the end of the bay. The hill provides endless hiking trails and dense foliage, but the real treat is found at the top. The path to the top isn’t the easiest trek. Some areas are paved while others are barely cleared of foliage. When you get to the top, you can look out over the city and all the places that you visited during your one-day San Sebastian itinerary. You’ve gotten to explore most of the main attractions, but hopefully, you’ll come again and really take the time to immerse yourself in the culture, beaches, and pintxos. If you’ve made good time, it may still be earlier enough to head back down into the city. For those that like the nightlife, head to the beachside area, where you’ll find throngs of tourists crowding into the bars. If you want something a little more relaxed, stay in the city centre and find a quiet café for a well-deserved nightcap. Pensión Régil: If you’re on a tighter budget, there’s hardly a better choice in town than this simple pension. La Cocha is located just a few minutes away by foot. Room Mate Gorka: A superb mid-range pick located just outside of Old Town. You’ll love the elegant rooms here, especially those equipped with a private balcony overlooking the city. Akelarre – Relais & Chateaux: Although its not in the most convenient location, splurging on this fantastic luxury hotel will make your short layover in San Sebastian as memorable as can be. Besides the glorious seaviews, the property delights with a full-featured spa and two on-site restaurants including one bestowed with 3 prestigious Michelin stars.